When I am biking on a nice flat greenway I think to myself, why would I ever weigh down and complicate the bellcycle with additional gears? Then I am struggling up a hill and I think when are you going to add some gears to this thing? The first easy step was to extend the frame of the front fork on the right side to accommodate the cassette with the gears. The main load bearing side of the chain routing will remain the same. The return path has to be changed to add another pivot. 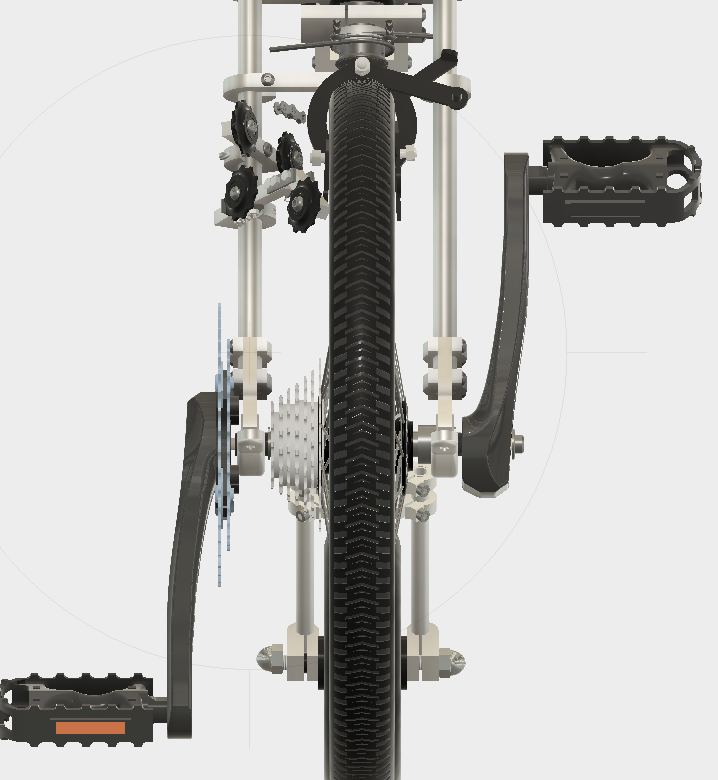 This pivot will swing the pulley back and forth over the cassette allowing the user to select which gears to choose. 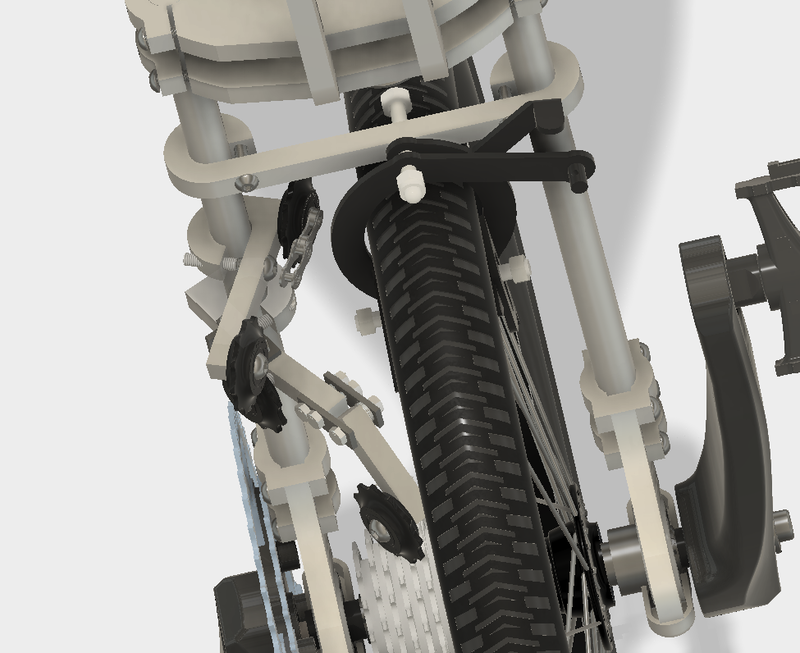 I also had to increase the complexity of the tensioner because now there was a significant increase in the amount of slack that had to be taken up when the lowest gear is selected. As this is version 1 there is still lots of additional tweaking and improving todo.